A much-requested interface for computers is alternative access to keyboard special function keys. This project uses the HID library with a rotary encoder switch as a digital volume control for PC sound. 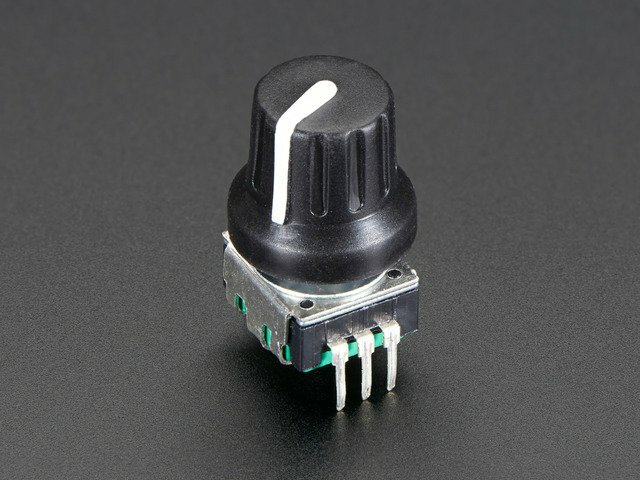 The push button connected to the encoder shaft is used as a mute/unmute button. The wiring is shown below. One side of the switch has two pins, that is the push switch. The side with three contacts is the rotary part of the switch. Circuit power comes from the USB connection. The code for the volume project is below. Ensure you have installed the HID library. The trickiest part is the poll function must be called every 10 milliseconds so all the other processing needs to be done quickly. The code for reading the encoder is a bit involved. The switch transitions need to be determined so the direction the switch is being turned can be found. 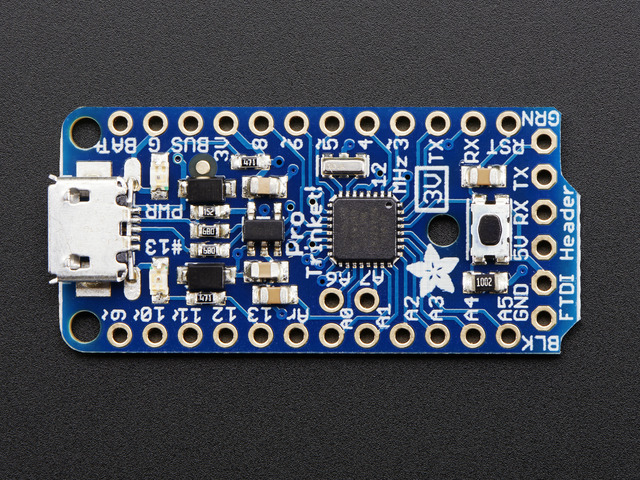 To read things quickly, the sketch uses microcontroller port polling which is much quicker than digitalRead function calls. 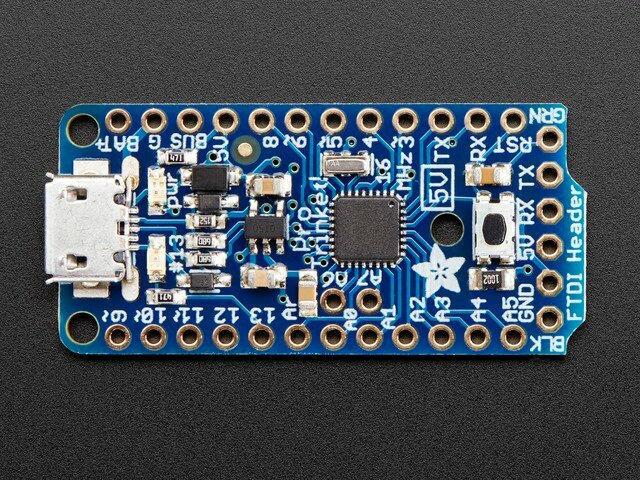 Direct port access techniques are discussed on arduino.cc. Plug the USB cable into the Pro Trinket. You should hear a sound (if using Windows) and note that Windows Update loads the USB device driver. Start playing music on the computer. As you turn the knob, the volume should go up one way, down the other. Push down on the switch and the sound should be muted, another push, unmute. This guide was first published on Jan 28, 2015. It was last updated on Jan 28, 2015. This page (Example: Rotary Encoder Volume Control) was last updated on Apr 24, 2019.